Don't "Haig"-le for Christmas Bargains: Get Two for None with Book Giveaway! Don't "Haig"-le for Black Friday and Cyber Monday deals. Here at InkSpired, you can win TWO for the price of none...books, that is! 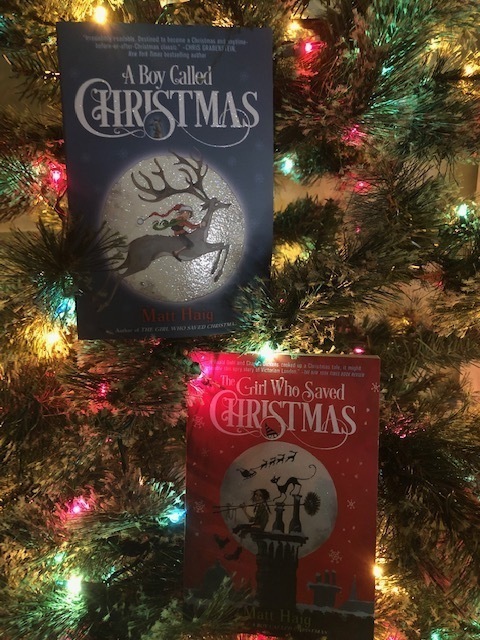 In our spirit of giving, we are offering a chance at Matt Haig's brilliant middle-grade holiday adventures, A Boy Named Christmas and The Girl Who Saved Christmas. So, if you believe in the magic (and a bit of luck), take your chance below to win your paperback copies of these two winning stories! Thanks for sharing such amazing stuff.